I just saw (or more likely listened to) this new video by SushiGMS. In this video he basically talks about the reasons he decided to quit Maplestory. And the main reasons are lack of new areas, new equips, and basically new end game content. This isn't the first time that I heared someone talk about that. Kradenine made a few videos about the subject too and he had the exact same reasons - Lack of new areas and end game content. (I can find his videos too if someone's insterested). I came back to Maplestory around a year ago and I'm already starting to get bored of this game. To be honest I've gotten bored of it a long time ago but I've always found a new reason to play, first it was training a new main, then switching a server and then Reboot was released. But now there's nothing else to do. I'm finding myself just logging on to the game to do my dailies and then log off. And the reasons for that are pretty much the same - no new content. I mean, yes they do release new bosses, new characters and new blockbusters every now and then, but those are usually updates that people get tired off realy easily. And most of those new areas are left completely stranded even when they're new. No one bothered to check out the new Ghost Park when it just came out, since it's pretty useless, like most of the new areas. The blockbusters are pretty awesome but those are just good stories, nothing more. It's not like you're gonna go back to those blockbusters with the same character. I find myself waiting for new content to come out only to be dissapointed again. And I'm realy getting tired of all this waiting. But that's just my opinion. What do you guys think? Do you enjoy the new updates? Do you still find fun things to do in Maple? The issue is player mentality and continuity. Nothing they add can really last long when the very ground it's built on is shaky. New bosses, new characters, new block busters are all legitimate content updates, but as you have said, they grow old rather quickly. The battle system has no personal growth to it, You use a skill once and you know it'll be the same thing from there on. Boss fights are mainly just taking a few steps out of the attack range every now and then, then holding down / mashing one or two attacks. After awhile, it's not exciting anymore because there's nothing more too it. There's no diversity in what the player does which means anything related to fighting will just fall flat quickly. There's a major issue with currency. Maple has yddrasil coins, lab coins and a billions different event coins, just to name a few, all of which are useless outside of their highly specific area. Mesos have very, very little worth and since there's not much backing it outside of player shops, it's very unstable. Who ever was in charge of the currency in reboot world messed this up even more which shows that they might not even realize this is a major issue. 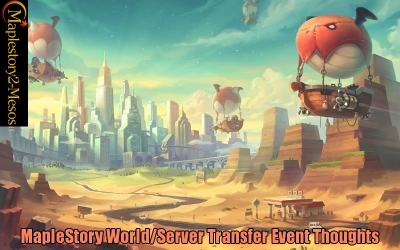 Reboot had a chance to raise the worth of MS2 Mesos, which it partially did, but it kept the highly inflated numbers. There's not a reason why mobs had to drop like 100x the amount of ms mesos when the prices could have just been cut by that much. 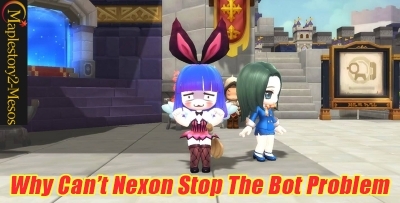 It would mean 100k maplestory 2 mesos would get you far rather than inflated numbers like 100mil. If new areas, like the lab or monster park with coin shops and/or coins, came out but the coins were usable in other shops it would be a major difference. Sure many people would just do whichever has the best coin gain, but at least it makes a broader use of content and gives people options. Tired of running the one place for 10k coins? You can run this other place for the same coins. 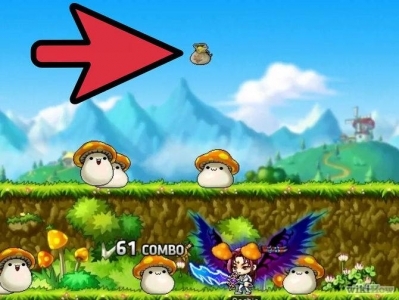 If more, better, items and eqs were able to be purchased with a set amount of coins or even maplestory mesos, it would give people a greater idea of how much their effort is really worth. As it is, some people just give up or don't try when it comes to certain content because it's all just a mess of rng. If better things were in shops for certain then prices could be more reasonable as well. Imagine being able to by a base ra weapon for like 100 coins. I don't actually remember how many you can get so that may be a bit low or high but the point would be that it's a definite. Maple makes our effort seem potentially meaningless and it's quite frustrating to many people. If the best thing players have to look forward to is new eqs or more damage on their eqs to fight the things they fought a billions times while trying to get those eqs or stats then it's no wonder why they bore so quickly. There's also very little social elements or need to work together in this game. Social elements often draw in a bit of variety while playing. I find myself doing daily boss runs with people regardless of whether I can solo the boss due to it feeling a bit less tedious with others. Most people I see train alone, boss alone, do events alone, do story related things alone. PQs were a good source of interaction but they are a remnant of what they used to be. There's also the issue of things that force people together like root abyss. Sure, it's often nice to finish things quickly, but many times people will get that once person who just rushes in, kills the boss in 3 seconds, then leaves. There are even times where one comes in who is rather weak and it brings down the party which can push the soloist personality even more. It's an irritant for some other people and often comes across as rude or impersonal. This type of interaction is detrimental rather than productive. Lastly, It also seems like many people are afraid of prices dropping in the market. Many people are against things like ra sets being a definite because it would flood the game with them and make their previous efforts and investments in vain in their eyes. This type of mentality halts any sort of progress the game can make. It's just like horse salesman trying to stop the invention of cars because they'd lose their business. Sure, it makes sense as to why they're against it and it's a reasonable concern, but previous efforts are just that. They've done it for the time where it was viable and now we really need to move on.